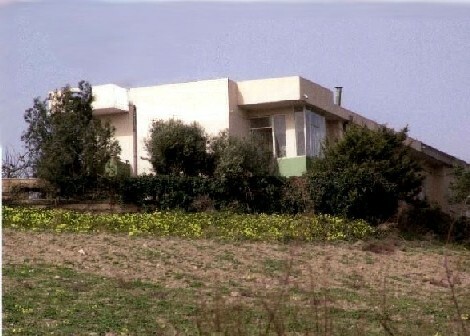 Nice modern house with a beautiful garden and superb sea wiew immersed in the lovely countryside of Calabria. 5 minutes by car from the SS 106. Great stop on the way between Sicilia an Puglia. Comfortable and cozy furnished. 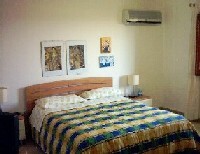 Rooms with conditioned air and tv sat. The area paragrafo’s mild climate makes this an excellent vacation choice all year round. Authentic local cuisine and strong, full bodied local wines, best to complement the sharp flavoured dishes of the region. Only 20 minutes away from Crotone, a city of the ancient Magna Grecia, with interesting archeological excavations. One hour from the magnificent Sila mountain and from the majestic castle of Santa Severina. Sea baths, windsurf, tennis, fishing, bird-watching, mountain bikes , footing. We have n. 2 apartments with clima air and tv sat near a little private garden. The first apartment is a bedsite with a double bed a kitchenette and shower bath. The bed and breakfast is situated in the green calabrian country far about 4 km from the Jonion sea and 1, 5 km from the SS 106 road. 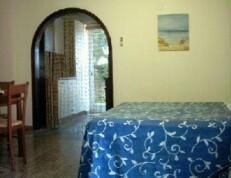 Price daily x person in bed and breakfast or apartment. Deposit: 20% of the total stay. Cancellation Policy: 20% of the total stay two weeks before the arrival. Incoming from north: Sibari exit on the Salerno- Reggio Calabria motorway or Taranto exit on the Bologna -Taranto motorway and follow the SS 106 as far as Cirò Marina. Incoming from south: follow the Jonion road n. 106 as far as Cirò Marina.